You'll be glad to know there are multiple options for acquiring a loan to purchase a boat in Vermont. 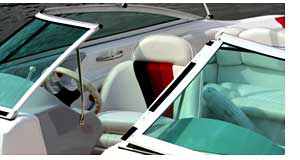 Provided your credit qualifies, most banks, finance companies, credit unions, and boat dealers offer boat loans. While many banks offer boat loans to their current customers, you might also shop around for the best rate and loan term. Often banks and finance companies can quickly verify your credit and establish an interest rate based on your credit score and down payment. Not all lending institutions in Vermont offer boat loans. Credit unions are often a great source for funding a new boat loan in VT. Credit unions typically have competitive rates and can offer attractive boat loan options. Most Vermont boat dealers offer financing options. By financing your boat through a boat dealer you often have options for multiple financing sources or special manufacturer programs. 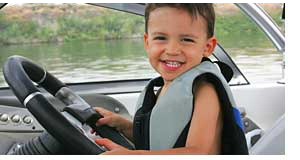 Dealers may also offer extended warranties and access to service departments should something happen to the boat. Boat dealers and fishing boat dealers are listed by city for your convenience. Among the major cities we list are Newport, Morrisville, Montpelier, Lyndonville, Barre, Waterbury, Vergennes, St Albans, Shelburne, Burlington, Wilmington, West Brattleboro, Springfield, Randolph, Hartford, Wells, Rutland, Fair Haven, Brandon and Bennington. Any Vermont boat dealers which do not offer loans will have recommendations for other financing options. Whatever option you choose to finance your boat, you can be on the water in a short period of time. Finding the funding is the first step to enjoying your new boat. Locate the best VT boat loan financing rates through local banks, credit unions, boat dealer and other lenders offering boat loans. Boat insurance is required for most boat loans in VT.
You may want to request a quote for boat insurance from the agent who handles your auto or home insurance. Or, request a referral from the boat dealership. Boat loans and lending institutions in other states.